From Google AdSense to Propeller Ads; PopAds to Amazon Associates, ad networks and even affiliate marketing programs are meant to make money for businesses and the publishers that share the ads. For example, a technology blog or online magazine would publish articles about the newest tech trends and computers to hit the market. That's all fine and dandy, but writing an article doesn't make any money. But if you sell ads to companies needing to advertise, that's where the cash flow comes into play. You start making money by displaying advertisements. Over the years, ad networks like Google AdSense have risen in prominence. These cut down the need for publishers to find advertisers, offering dynamic ads that relate to the published content. Ads are delivered automatically and the publisher still makes money. 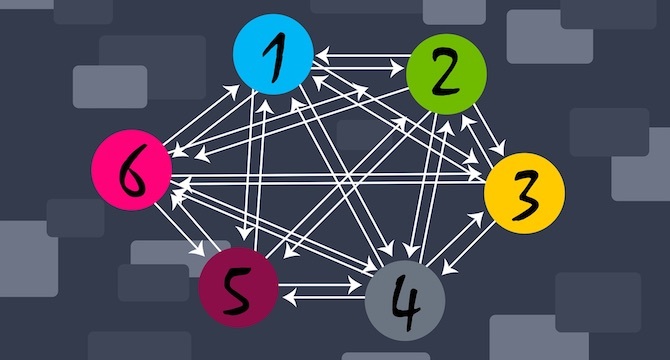 Unfortunately, this means that Google AdSense and most other ad networks track all sorts of user information. Although many users don't care, some publishers may want to take responsibility to respect and protect the privacy of their visitors when placing ads. How does this ad tracking work? How displaying anonymous ads can help visitors? How does the process with anonymous ads work? It's amazing how these networks grab user information and peddle it almost instantaneously. Think about when you search for a product (let's say a Chicago Bulls hat) through Google or Amazon. If you buy the item or move onto something else, you'll start to notice something: All of a sudden the entire internet seems to know that you're interested in a Chicago Bulls hat. You log onto your Facebook page and notice ads for Bulls merchandise. The Google ads suddenly switch to that as well. Google has distributed your interests to ensure that the next time you log onto the internet you're constantly reminded of what you thought about but never bought. 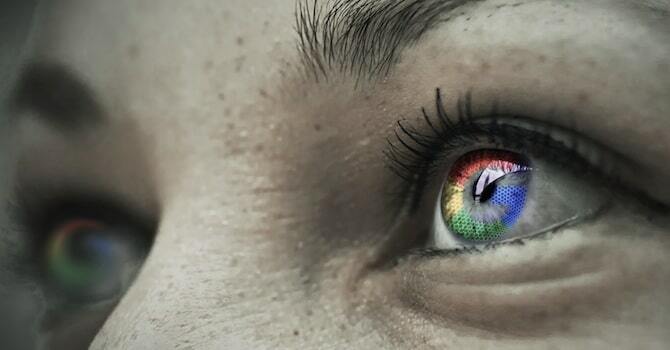 That's just one of the ways Google and other companies can track your actions online. It does this to deliver relevant ads on the websites you visit. Therefore, you may think that you can avoid tracking on your favorite cooking blog. But that's usually not the case. Google realizes you're on a cooking site, but they also may have your browser history or past purchasing information on hand. Therefore, it takes a combination of that information to serve up ads that are relevant to cooking but also related to what you might be interested in buying. Sure, you could make use of ad blockers so that you won't see advertisements anymore. However, this usually doesn't really prevent tracking. Then, every other site you go may reference that cookie to compile information about everything you do online. Since ads are so prevalent on the internet, this means that pretty much every move you make online is being recorded. That could be a privacy issue if you care about anonymity. Advertisement networks and cookies can sound scary, or annoying, to consumers. But that also brings up the question of what publishers and merchants should do. 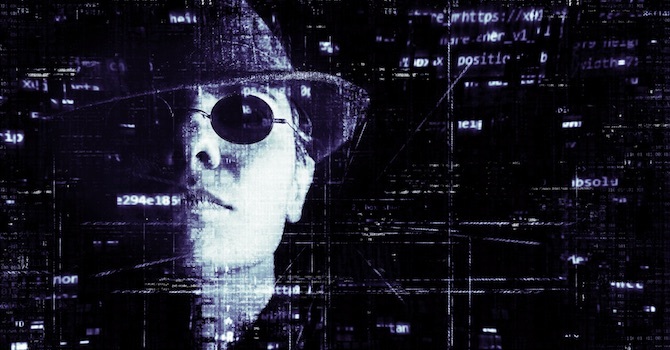 If you'd like to take an alternative route to advertising and limit the amount of information mining completed, you can go with a more anonymous approach. You could display ads while protecting user privacy. You could just display paid advertisements with pure HTML and without ad tracking in place. As an alternative, you could sign up for services that work like regular ad networks, but instead deliver ads while keeping users anonymous. The good thing about this approach is that you can claim this on your website, potentially making people more likely to read your blog posts or shop at your online store. If you're interested in respecting the privacy of your visitors, a possible solution is called A-Ads. 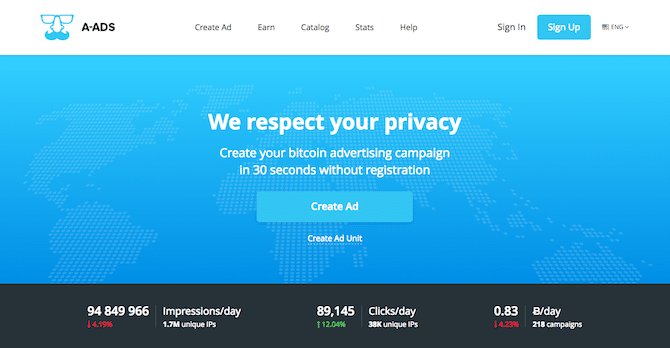 A-Ads (Anonymous Ads) is an ad network that runs on Bitcoins, a form of digital currency (cryptocurrency). Therefore, an advertiser can sign up and start spreading its ads all over the internet, while paying with Bitcoins or converting regular currency into Bitcoins. The publishers display these ads just like they would with other ad networks. The only difference is that the publisher gets paid in Bitcoins. A Bitcoin wallet allows you to convert the Bitcoins into different currencies, but many would argue that you're better off keeping and using the Bitcoins for your own purchases, since many experts feel they're far more valuable than regular cash. The whole point of this article is to show how to protect privacy and visitor information. And that's exactly what A-Ads does. The ad network claims to be completely anonymous. Not only can advertisers and publishers sign up without registering, but the network follows the Bitcoin ideology that anonymity is more important than anything. Each ad created by A-Ads uses simple HTML and CSS. 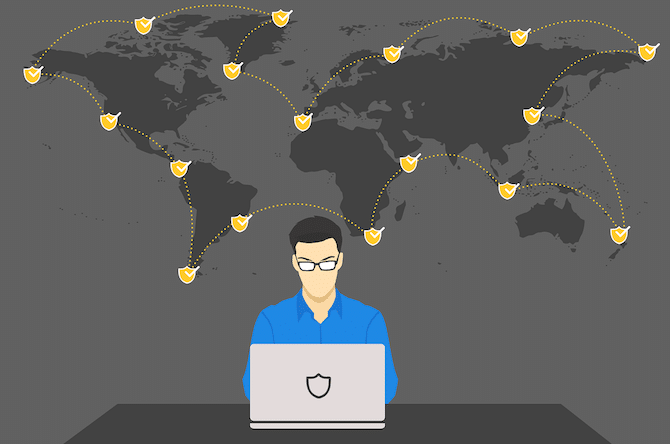 This means that no cookies or scripts are utilized to aggressively track the people who stop by your site. The good news is that the ads can still be rather relevant to the site, so you're usually not going to get completely useless ads. What's more is that this anonymity crosses over on every site with A-Ads. So, if your visitor jumps from your site to another one with A-Ads, they're not going to get bombarded with ads based on information collected on your website. It all starts when an advertiser comes to the A-Ads website and wants to purchase an ad package. This is the one part where some information needs to be collected. After all, the company advertising can't be completely anonymous, otherwise A-Ads wouldn't know what to display in the ads. 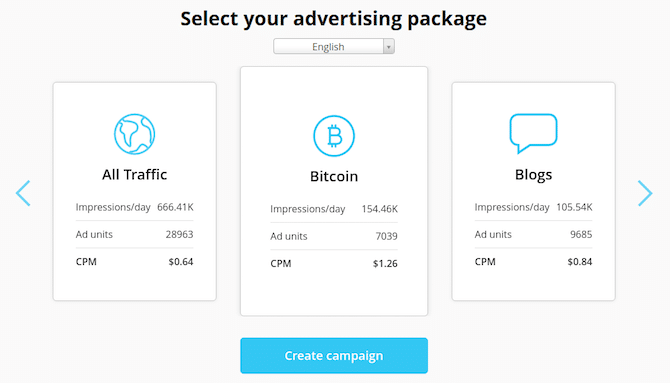 For example, the advertiser might choose the Bitcoin package that includes over 150K impressions per day and over 7000 ad units. 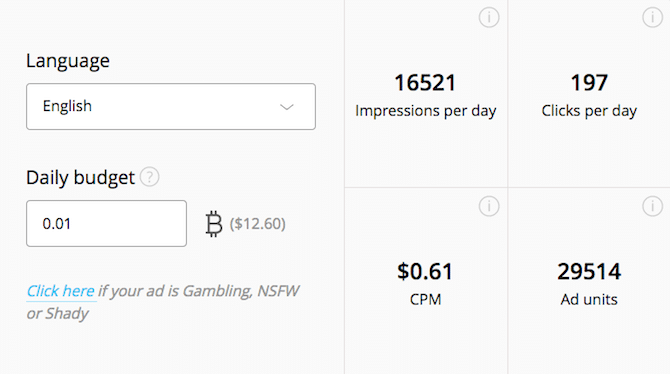 The cost per thousand impressions currently is $1.26, but a daily budget can be set to ensure that your company is not spending too much money. Once the advertiser creates an ad and completes the campaign, these ads are then placed into the ad network, making them deliverable to all of the publishers that have activated A-Ads on their sites. From a publisher's standpoint, it's all anonymous, since A-Ads uses a simple form for requesting an ad unit for your site. You basically just need to create an ad unit and start displaying ads right away. 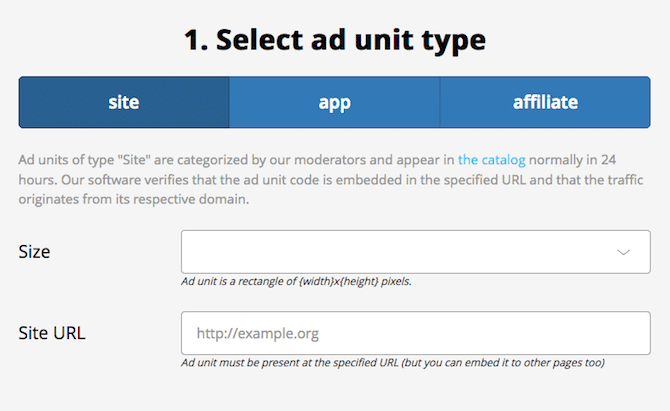 Anonymous Ads has site, app, and affiliate ad units, and you can select the size of the ad unit to fit your website. For example, you might want a 468 x 60px ad to pop up on your homepage. Content filtering is provided. This is extremely important, since the anonymity of A-Ads can bring about all sorts of advertisers. For example, you might want to exclude ads that are not safe for work or ones that promote shady websites or gambling businesses. The last step is configuring your withdraw parameters, which is basically connecting a Bitcoin address or user account to get your money when people start clicking through on your ads. Anonymous Ads: And that's it? Pretty much. 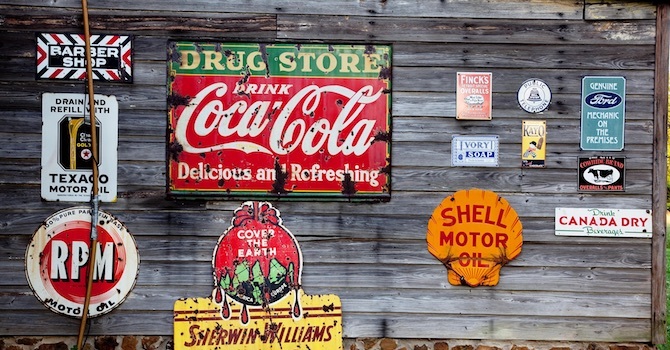 There's not much to A-Ads when it comes to site visitors. They simply don't get tracked like they would with Google AdSense or other regular ad networks. Obviously your site visitors probably won't even know what A-Ads is, but you are more than welcome to share the fact that you're not tracking their information. It may just keep people coming back to your site more often. And that's how to protect and respect the privacy of your visitors when placing ads on your WordPress website. Do you have any other ways and ideas to protect the privacy of website visitors while monetizing your website? Or do you want to know more about anonymous payments with Bitcoin? Let us know in the comments section if you have any questions.